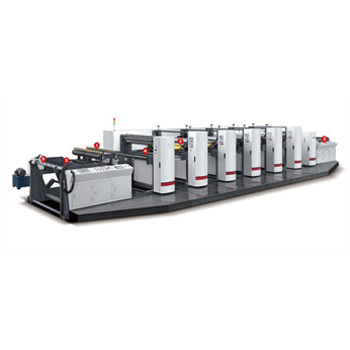 High Speed Printing Machine is suitable for different material printing,such as paper,film,aluminum foiletc. 1. Adopts hydraulic lifting device for jumbo roll loading,save time and labor. 4. Anilox roller/cylinder roller adopts pneumatic clutch,machine stops running,automatic seperate. 5. Adopts electrical heating,independent drying system.